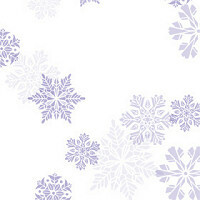 Let It Snow Purple 4" x 9.5" cellophane bags. 100 bags per pkg. Use these bags for literature, samples, self promotion, party goods and much more.